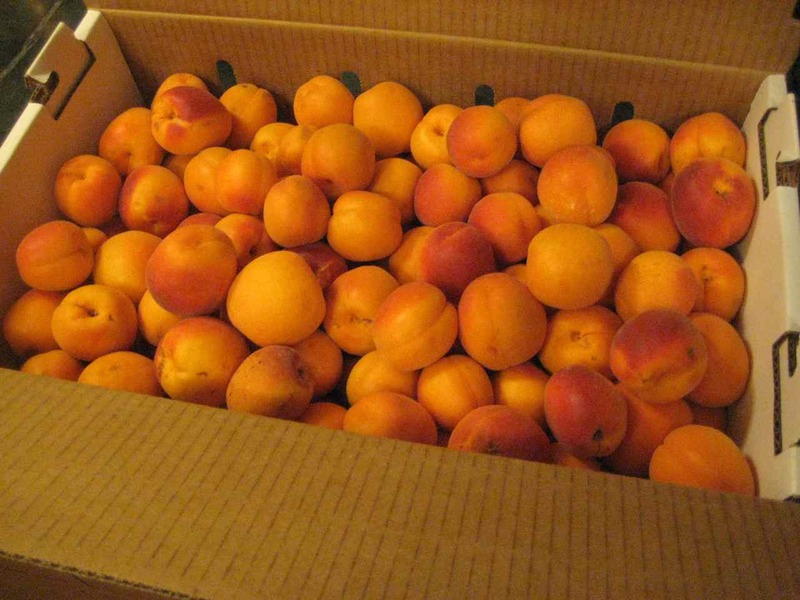 Laurelhurst Craftsman Bungalow: Fresh Apricots! While in California I binged on fruit. 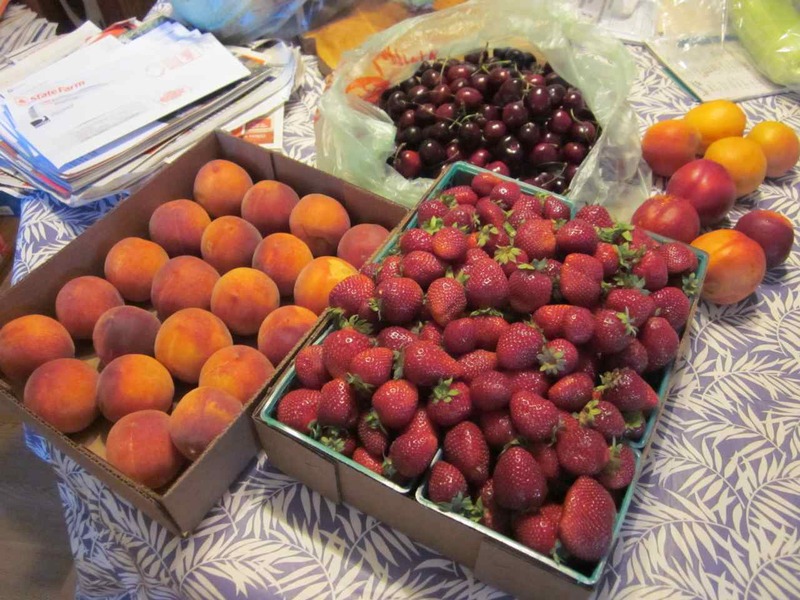 We stopped by farm stands on the way from the SF Bay Area to Pioneer (where my Mom lives). My Mom made cherry jam. I made peach-strawberry jam. I'm looking forward to enjoying the three jars of jam I brought home. Then, on our way home to Portland yesterday, we stopped and bought a flat of apricots from one of the farms along I-5. These apricots are delicious! Today Jeff made apricot coffee cake and I started making apricot pie fillings (to freeze). 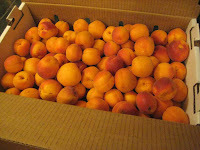 I was also planning to make a couple of batches of apricot jam, but I discovered our canning tools are still in storage. So, we need to make it to storage in the next day or two before this fruit goes bad. Lucky ducks. We had our heart set on Portland for our honeymoon, but since I'm only working part-time we couldn't swing it. You two are truly living the life, though!